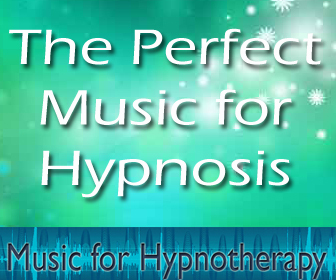 Few fields have the same level of misconception as hypnosis. In Understanding Hypnosis: Theory, Scope and Potential, California clinical psychologist, Albert A. Barrios, PhD, attempts to rectify this. In his short, fact-filled book he provides the reader with voluminous information and references to studies involving the use of clinical hypnotherapy for a wide range of applications. This is the latest in a series of written works in which Dr. Barrios discusses hypnosis. As I have read many of these, I found that the present title to be a logical progression – as well as somewhat of a reiteration – of his previous ideas. Unlike many of his psychology colleagues he departs somewhat from their Ericksonian-orientation. Rather he focuses on a more behaviorist approach, which is based upon ideas first developed by Ivan Pavlov, who won the Nobel Price in Physiology or Medicine in 1904, and the American psychologist/inventor Professor B. F. Skinner. Although he frequently cited the work of other well-know hypnotherapy theorists, he remains true to the behaviorist rationale, which is pervasive throughout his previous publications. His approach to explaining hypnosis focuses more on favorable results of valid research rather than explaining his view as to why they occur – other than his almost assumptive reference to behaviorism theory. His definition of hypnosis, which he does not present until the beginning of the third chapter, centers on the subject achieving heightened suggestibility (or belief) due to hypnotic induction. From that point his book is a condensed presentation of relevant studies, which reinforce the efficacy of the clinical uses of hypnosis. This is most definitely a clinician-oriented book. A practitioner who has previously attained a basic understanding of the field will appreciate its wealth of references. Indeed, this volume should entice one to delve deeper into the relevance of hypnosis for a wide range of pathologies. On the other hand, despite the title I would not recommend this book to someone as an introduction. This should especially hold true for someone without formal mental health-related training. Additionally, due to his constant reference to his other excellent publications, I would highly suggest that they be reviewed should the goal be to get the most from this one. Any hypnotherapist who is even remotely interested in the field's potential should seriously study Dr. Barrios' work. His refreshing, behaviorist-oriented approach is rarely discussed among mental health practitioners, who tend to favor a more Ericksonian model. Despite the more fashionable approaches that are currently en vogue among his hypnotherapy colleagues, many psychology departments retain a more behaviorist/operant conditioning orientation, which is more congruent with Dr. Barrios. I see strong validity in his theories. Nevertheless, I must point out that this book for the most part could have been written in the 1970's as it contains very few present day references. As a strong believer in the value of being a well-rounded hypnotherapist, I firmly believe that Understanding Hypnosis -- as well as Dr. Barrios' other publications should be included in any practitioner's library. 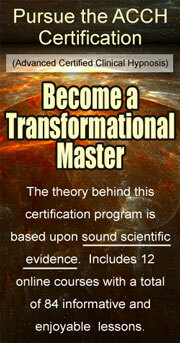 His theories most definitely address and attempt to explain many of the experiences, which we encounter.